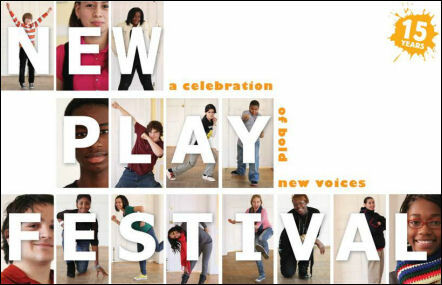 YPT's New Play Festival 2011 Opens! Three nights. Fifteen different plays. New plays each night. Join us for this city-wide celebration of new work created by the students in YPT’s In-School Playwriting Program. Student playwrights collaborate with professional actors, dramaturges and directors to create an evening of dynamic theater. In celebration of our fifteenth birthday, YPT will share fifteen plays, by fifteen playwrights, over three nights. We hope you will join us as we honor and celebrate the incredible work of these young people. Call 202-387-9173 or visit www.yptdc.org to meet the playwrights and read more about the plays that will be presented each night of the Festival. Check out this video of playwright Paul McCoyer, whose play "Money, Money, Money" premieres on Monday!